He feared for his life after purportedly exposing a police officer’s involvement in illegal sand mining in Madhya Pradesh. At around 9 am on Monday, Sandeep Sharma, a 35-year-old journalist investigating illegal sand mining in Madhya Pradesh, was run over by a dumper truck in Bhind. The police insist it was an accident, but some allege that he was murdered for his work. In fact, Sharma had asked for police protection, saying his life was in danger after conducting a “sting operation” on Sub Divisional Police Officer Indra Veer Singh Bhadouria in 2017. Sharma had secretly filmed Bhadouria purportedly accepting a bribe of Rs 12,500 to let a truck transport illegally mined sand from the National Chambal Sanctuary. The police officer was transferred out of Bhind after Sharma’s TV news channel, News World, aired the video late in October. Soon after, Sharma wrote to senior police officials, saying he and his colleague Vikas Purohit, who had helped him conduct the sting, feared for their lives and demanded protection. The letter, stamped by the Bhind superintendent of police’s office on November 3, mentioned that copies of it had been sent to Prime Minister Narendra Modi and Chief Minister Shivraj Singh Chouhan. Bhadouria, the letter claimed, “has links with local criminals and strongmen and could implicate us in false cases or even have us murdered and make it appear like an accident”. 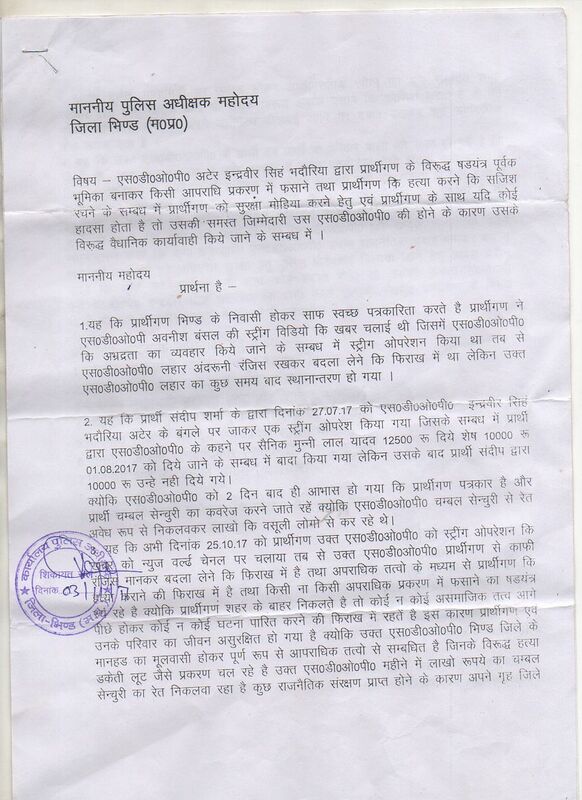 In his letter, Sandeep Sharma sought police protection for himself and his colleague Vikas Purohit. Purohit alleged that after the police officer learnt of the sting operation, he sent “a friend with an envelope full of cash” to Sharma and him in a bid to persuade them against airing it. “After Sandeep’s death, I now fear for my life,” Purohit said. Following up on Sharma’s letter, local journalists wrote to the superintendent of police on November 16, 2017, demanding that any complaints filed against Sharma be “carefully examined” and cautioning against any attempt to arrest him in “fabricated cases”. The police have arrested the driver who ran Sharma over. Ranveer Yadav, who is actually employed as the truck’s cleaner and not as the driver, was allowed to speak to the media after his arrest. 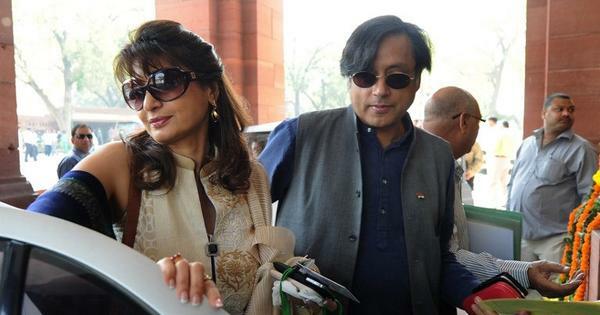 He insisted that Sharma’s death was an accident. As he drove around a bend near Indira Gandhi Chowk, Yadav claimed, a woman suddenly appeared in front of his truck and he had to swerve sharply to the left to save her. He could not see Sharma, riding a motorbike to the left, Yadav added, and didn’t even realise he had hit him. Sharma was taken to hospital by his nephew Vikas Sharma and his friend Kamta Prasad Tripathi who were following him on another motorcycle. He was declared dead on arrival. 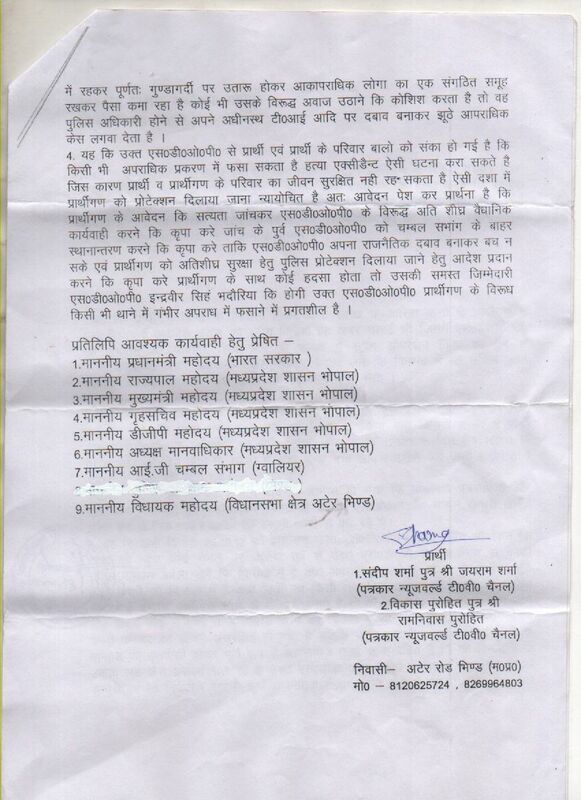 Yadav has been booked for “causing death due to negligence”. 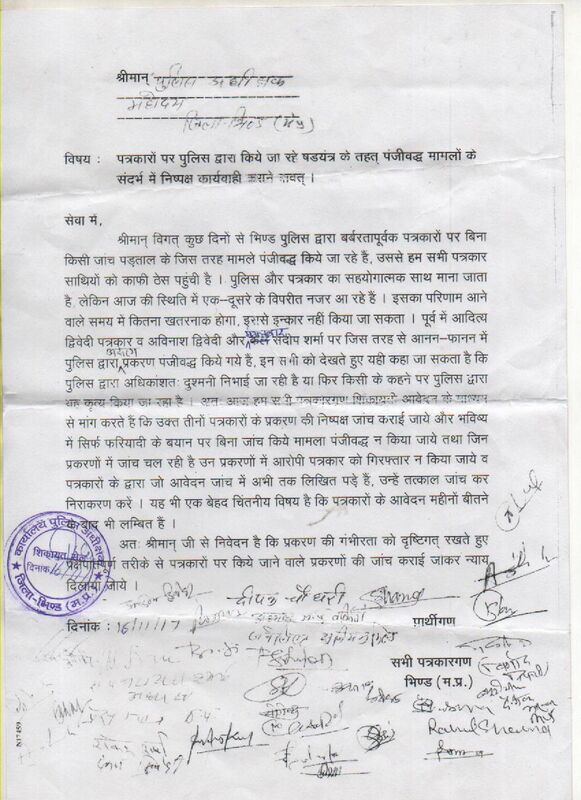 Prashant Khare, Bhind’s superintendent of police, did not respond to calls and messages for comment. There is still confusion about when the sting was carried out, though. In his letter, Sharma mentioned that it was done at Bhadouria’s residence on July 27, 2017, and broadcast on October 25. Asked about this delay, Purohit said that they took a month to air the story because they were trying to expose other officials they suspected were involved with the illegal sand mining mafia. Rizwan Siddiqui, editor-in-chief of News World, claimed the sting was not commissioned by the channel; Sharma and Purohit had one it on their own. But after examining the video, Siddiqui said, he was convinced that airing it was in the public interest. 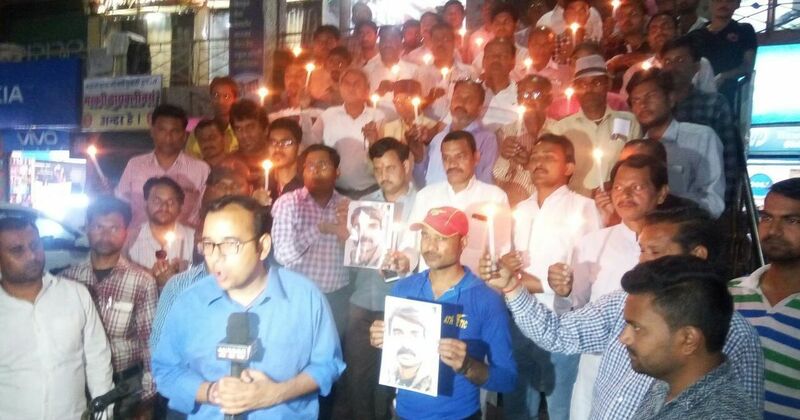 However, after the broadcast, Siddiqui said, “a sustained campaign was launched in the district to malign Sandeep and Vikas as blackmailers and discredit their journalism”. The police had sent Sharma’s tape and his camera for forensic examination to verify the authenticity of the footage. The forensic report is awaited. Siddiqui said it was “for the investigators to find out” whether Sharma’s death was an accident or murder, but questioned why “nothing was done” to ensure his safety even after he had complained to senior police officials after the threat to his life.